Microsoft has start rolling windows 10 upgrade for millions of users. Almost 14 millions machines are now running on windows 10. Some of them got the upgrade notification whiles other are waiting in the queue. 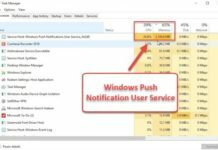 So In this article I will show you an easy way to upgrade your windows 7 or 8 PC to windows 10 without waiting for the upgrade notification. So first step is to download the Media Creation Tool which is officially provided by Microsoft. You can download the media creation tool from this link. 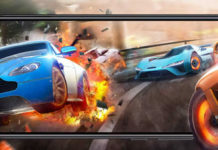 After downloading your preferred version that is 32 or 64 bit, launch the downloaded file. Now to instantly upgrade your PC, select Upgrade this PC now and click next. Now the media creation tool will start downloading the files (Which may take time depending on your internet speed) mean while you can freely use your PC to perform other tasks. Once the downloading process is completed, The installer will ask you to accept the licence and enter your product key, Note you have to use your current windows version product key. If you don’t know how to find it then check this article to find windows 7/8 product key. That’s it you’re done. Now you can enjoy windows 10. First navigate to your C drive. Now make sure you can see hidden files. To enable this option go to View and check Hidden items. Now you can see a folder named $Windows.~WS in your C drive. Open the folder and navigate to SourcesWindowssources. In the sources folder you can see a file named setupprep.exe just launch the file and Media Creation Tool will start and resume the download from where it was ended. 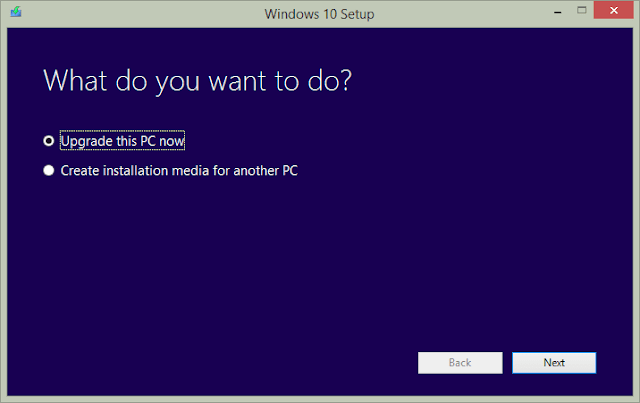 As you launch the media creation tool, you have two option i.e Upgrade this PC now and Create installation media for another PC. 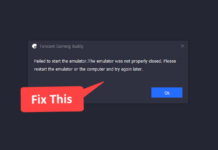 This time you have to select Create installation media for another PC. 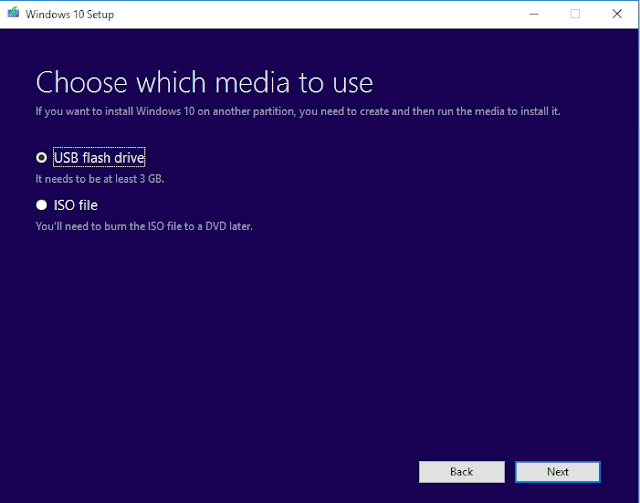 Now to create a Windows 10 USB flash drive, select USB flash drive or if you want to create an Windows 10 ISO file the go with the second option. Plug in your USB device and click Next. Now you can find your USB device under Removable drives list, Hit next to proceed further. The next window will give you an option to choose language,Edition and Architecture. 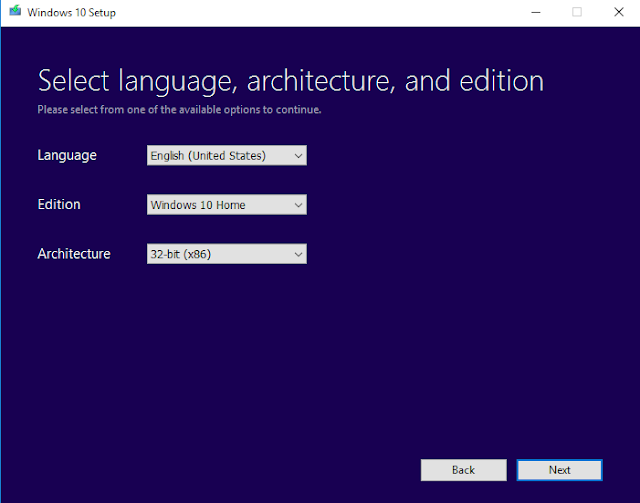 You can go with your preferred language, For edition you can select Windows 10 Home or Windows 10 Pro. 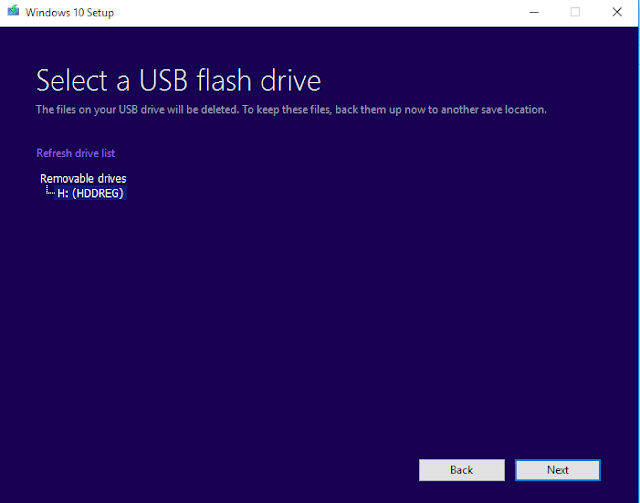 Click Next and finally it will start the process of creating Windows 10 bootable USB drive. If you find any difficulty in upgrading your PC to windows 10 then do comment below.